Nigeria's Oil Minster, Diezani Allison-Madueke, has told the BBC the country's state oil firm is not insolvent. 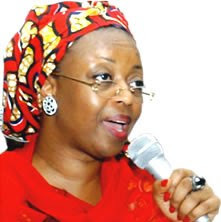 This follows comments by a junior government minister that the Nigerian National Petroleum Corporation (NNPC) was unable to pay debts of $5bn. Nigeria is one of the world's biggest oil exporters. The BBC's Duncan Bartlett asked her to clear up the confusion over whether the NNPC was insolvent. LAGOS — Governors of Nigeria's oil-rich Niger Delta have pledged their backing for President Goodluck Jonathan if he decides to run in next year's presidential election, officials said Tuesday. The governors of the Delta's five states -- all from the ruling People's Democratic Party (PDP) -- took the decision at a meeting in the southern oil city of Port Harcourt on Monday. "President Jonathan should openly declare his intention to contest in 2011 because we will fully support his ambition," the governors of Bayelsa, Akwa Ibom, Delta, Cross River and Rivers states said in a communique. Jonathan is a Christian from Bayelsa state, and took over the religiously and ethnically divided country following the death of his predecessor Umaru Yar'Adua, a northern Muslim, in May. The party, in power since 1999, has traditionally alternated its backing between candidates from the north and south as a way of smoothing over ethnic, religious and social divides in Africa's most populous nation. Some politicians insist that the party should back another northern candidate since Yar'Adua did not finish out his term. The five Delta governors also backed the president's plans for electoral reform ahead of the 2011 polls. Nigeria has a long history of electoral fraud, and disputes over the last elections, in April 2007, are still pending in the courts. The election was judged deeply flawed by local and international observers. Petroleum Resources said in a report released Wednesday. 1.6 billion barrels or 4.79%," the DPR reported said. Nigeria's bid to introduce new petroleum legislation. with little scope for profit from their investments. remaining oil reserves indicating a life index of 35.55 years. highest output of 2.405 million b/d achieved in June. Royal Dutch Shell Plc, Europe’s largest oil company, posted a 15 percent increase in second- quarter profit on higher oil prices and production as it exceeded a target for cost savings. Net income rose to $4.39 billion from $3.82 billion a year earlier, The Hague-based Shell said today in a statement. Excluding one-time items and inventory changes, earnings beat analyst estimates. Peter Voser, in his second year as chief executive officer, expects to double asset sales to as much as $8 billion by the end of 2011. Cost savings of $3.5 billion beat an earlier target by about 15 percent and were completed early, resulting in 7,000 job reductions 18 months ahead of schedule. “Overall, it’s a reasonable performance,” Jason Kenney, an Edinburgh-based analyst at ING Wholesale Banking, said by phone. The results follow a record loss for BP after Shell’s close rival set aside about $30 billion earlier this week to pay for cleanup costs and liabilities arising from the Macondo well disaster. Shell will study any assets put up for sale by BP, Voser said on a conference call. Excluding one-time items and inventory changes, Shell’s earnings were $4.21 billion. That beat the $4.08 billion median estimate of 14 analysts surveyed by Bloomberg. Production rose 5 percent to 3.11 million barrels of oil equivalent a day. Voser cautioned that the outlook for earnings and cashflow remain uncertain due to “mixed signals” in the global economy. “Oil prices have remained firm so far this year, but refining margins, oil products demand and natural gas spot prices all remain under pressure,” he said in the statement. Shell’s Class A shares traded in London fell 0.2 percent to 1,783.5 pence. The stock is down 5.2 percent this year, compared with a 31 percent decline for BP, which at one point lost more than half its market value on concerns over the mounting cost of containing the leak. Voser is targeting hard-to-reach rock formations in Australia, China and the U.S, as well as projects in Qatar, to boost production growth. As much as 40 percent of the company’s capital spending in the next few years has been earmarked for the Asia Pacific region. This year has already seen startups in the Gulf of Mexico and Brazil with Perdido and the BC-10 project, while the Sakhalin project in Russia has beaten production goals. Producers including Shell face higher costs following a U.S. clampdown on offshore drilling arising from the oil spill. Shell has the most rigs affected by the ban. “Our estimate for the full-year impact of the moratorium is around $200 million after tax,” Chief Financial Officer Simon Henry told investors on a conference call. The company idled five floating rigs and two platform rigs in the Gulf of Mexico and Alaska, leading to a charge of $56 million in the second quarter, Henry said. Rig rates and services were renegotiated and in some cases cut by 60 percent to 70 percent because of the moratorium, he said. Production from Perdido, shut down in April for maintenance, will resume in October. Shell is still seeking to dispose of 15 percent of its refining capacity and is selling retail assets in Africa and Latin America, putting a total of 35 percent of its current retail markets under review. Voser is assessing more than 35 projects that may add 8 billion barrels of oil equivalent resources, boosting production until 2020. Shell, which has been adding more gas than oil to its resources since 2005, expects the share of gas as a proportion of total output to rise to 52 percent in 2012. Shell’s output at the Athabasca oil sand project in Canada was affected by maintenance. The unit restarted last month. Production was also disrupted by the suspension of pumping at the offshore EA field in Nigeria. Crude prices averaged $78.05 a barrel in New York in the three months ending June, an increase of 31 percent from a year earlier. Refining margins are picking up after averaging $5.49 in the second quarter from $3.08 in the first three months of the year, according to BP’s Global Indicator Margin, a broad measure of the profitability of turning crude into fuels. Really big oil: Where does the US get its crude? Here's what you need to know. 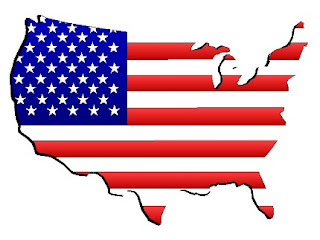 BOSTON — The United States consumes more oil than any other country in the world: 18.7 million barrels of oil per day, according to the U.S. Energy Information Administration's (EIA) short-term energy outlook. To satisfy that demand, the United States imports 9 to 12 million barrels of oil per day. Canada reigns as the United States' leading oil supplier, exporting some 707,316,000 barrels of oil per year (1,938,000 barrels per day) — a whopping 99 percent of its annual oil exports, according to the EIA. Canada's exports to the United States are worth more than $37 billion and account for 16 percent of the total trade between the two countries, according to the U.S. Census Bureau's Foreign Trade Statistics. Canada holds the second largest oil reserves in the world after Saudi Arabia. And 95 percent of this oil is in sand deposits in Alberta, which makes the oil extraction process difficult. Mexico sends more than 400 million barrels of oil per year (or 1,096,000 barrels per day) to the U.S., according to the EIA. In 2009, that flow was worth over $22 billion. Since Mexico's oil wells were nationalized in 1938, the country's oil industry operates under the control of PEMEX, the second largest oil company in the world. Saudi Arabia sends 360,934,000 barrels of oil per year (989,000 barrels per day), 20 percent of its total oil exports, to the United States, according to the EIA. Holding about one-third of the world's daily oil supply, Saudia Arabia’s economy is fueled by oil. Oil accounts for 90 percent of Saudi Arabia's export revenues and 45 percent of its GDP, according to the CIA World Factbook. Venezuela sends the United States 352,278,000 barrels of oil per year (965,000 barrels per day), according to the EIA. The Venezuelan economy is heavily reliant on oil as it accounts for 90 percent of the country's export revenue and 30 percent of the country's GDP, according to the World Factbook. In May 2009, following its socialist policies, Venezuela's state oil company Petroleoes de Venezuela took over private companies operating in the east of the country, increasing the total number of nationalized oil companies to 74. Earlier this month, President Hugo Chavez stated that his government would stop all oil exports to the United States if Washington's ally, Colombia, attacks Venezuela. Nigeria sells 40 percent of its huge oil supply to the United States. Nigeria exports 281,291,000 barrels per year (771,000 barrels per day) to the United States, according to the EIA. But Nigeria is feeling the full brunt of the "oil curse." The vast earnings from oil have not translated into substantial improvements for ordinary Nigerians. People living in the oil-producing Niger Delta area, in particular, are very poor and the environment has been degraded by oil drilling. Beginning in 2006, this reality led rebel groups groups to violently protest against the oil pipelines. The Movement for the Emancipation of the Niger Delta attacked and kidnapped foreign oil workers. The rebel insurrection are blamed for causing Nigeria's oil production to drop by as much as 20 percent. Furthermore, Nigeria has experienced 2,400 oil spills since 2006, decreasing the industry’s efficiency, according to Reuters. Angola exports 163,790,000 of barrels of oil per year (449,000 barrels per day) to the United States, worth around $9 billion in 2009, according to the EIA. In recognition of its huge oil production, Angola is now the chair of OPEC. In May 2008, due to unrest in Nigeria, Angola surpassed Nigeria as the largest oil producer in Africa. The majority of Angola's wells are located offshore in the Atlantic Ocean due to limited onshore exploration from 1975 to 2002 when the country faced civil unrest. 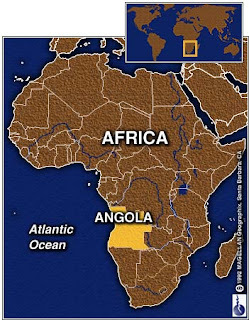 Angola is the world's seventh largest oil producer but the United States's sixth largest oil source as it exports 31 percent of its oil to the United States. Iraq exports 163,684,000 barrels of oil per year to the United States (448,000 barrels per day), worth over $9 billion in 2009, according to the EIA. This makes the United States Iraq’s number one oil export partner. GRAND ISLE, La. – A hundred days ago, shop owner Cherie Pete was getting ready for a busy summer serving ice cream and po-boys to hungry fishermen. Local official Billy Nungesser was planning his wedding. Environmental activist Enid Sisskin was preparing a speech about the dangers of offshore drilling. Then the oil rig Deepwater Horizon exploded off the coast of Louisiana, and in an instant, life along the Gulf Coast changed for good. Pete spends her days worrying that the fishing industry may never recover. Nungesser has put his wedding on hold while he sits in meetings and argues with federal officials. And Sisskin continues to talk about the dangers of drilling — only now, people are listening. The 100 days since the April 20 explosion have been a gut-wrenching time for folks who work, play and live along the Gulf Coast. The Gulf is a sanctuary for some, an employer for others, and now, a tragedy. A hundred days ago, business was booming at Barrios Seafood Restaurant in Golden Meadow, La., during Lent, when many of the Roman Catholics in south Louisiana forgo meat on Fridays or altogether. Customers were lined up for meals of crab, shrimp, fish and other seafood delivered hours after being pulled from the Gulf. Alicia and Thomas Barrios believed their years of struggling to get the business going were finally paying off. "We were saying, 'If business is this good now, just think what it will be like in the summer,'" Alicia Barrios said. "It was more money than we had ever made before in our lives." They began sprucing up the restaurant, even adding a patio with visions of customers lingering there this summer. Then the Deepwater Horizon rig exploded and the oil began filling the Gulf. "I'd say about 50 percent of our business was tourist, and they stopped coming immediately," Alicia said. "Seafood got hard to get, the price went up and people are worried about eating it." These days, Thomas Barrios is working in the Vessels of Opportunity program, helping BP clean up the spill. Alicia Barrios has had to lay off two of her employees and the adjacent market is only open two days a week. She's also thinking about how to change the menu if the price of seafood keeps going up and it remains scarce. "I guess we could start serving pasta and hamburgers," she said. "But I'm afraid to spend the money on a new sign and menus. To be honest, if it wasn't for the BP check, we'd already be closed." A hundred days ago, Cherie Pete and her husband, Alfred, were expecting another steady stream of customers at the little store they used her life savings to build on the main road to Venice, La. Everyone in town calls the 45-year-old mother of three "Maw" anyway, so she decided to name the place Maw's Sandwich and Snack Shop. The store opened last year, attracting a devoted group of locals who came for po-boys and ice cream, plus weekenders who showed up from New Orleans in droves to rent campsites and charter fishing trips. "And all of a sudden, we don't have them coming in," she said. She's still doing decent business, still working 14 hour days, but it's not the same. Now most of her customers are contractors and cleanup workers. "We've met people from all over the country, but it's not happy meetings. It's people coming in for work," she said. "It's not a typical exciting day at work for me any more, it's just another day at work." Pete knows the business won't last when the cleanup ends. "I'm just afraid the bottom is going to fall out," she says. "I'm not sure when. You don't know if it's today, or tomorrow or five years from now." A hundred days ago, Darlene Kimball was getting ready for a busy summer at her family's docks in Pass Christian, Miss., waiting for the buyers who would snap up hundreds of pounds of shrimp from the backs of boats, loading them into ice chests and hauling them back to giant freezers. Now the place is empty, and the only boats she sees are the ones used by BP contractors cleaning up the spill. Kimball's family has been in the Mississippi seafood industry since 1930, and she's never wanted to do anything else. But recently the 43-year-old had to do the unthinkable — draft a resume so she could look for another line of work. "Everything's different," she said. "My life has gone from a fast-paced to nothing." She misses the excitement of fishermen calling from the water announcing their latest haul, the awkward tourists trying to negotiate with boat captains for a piece of the catch. Most of all, maybe, she misses the sound of the seagulls circling the boats long before they come into town. "There's nothing around me," she said. "My culture is gone, my livelihood is gone. What my grandfather and father have worked so hard to accomplish is in jeopardy." A hundred days ago, Florida environmental activist Enid Sisskin was scanning through oil spill data from the Minerals Management Service, preparing a speech on the dangers of offshore drilling. Then the rig exploded, and she ended up rewriting the entire thing. She even told a halfhearted joke, about how future discussions of offshore drilling would have to begin with "a noun, a verb and the words Deepwater Horizon." But Sisskin, who teaches in the public health program at University of West Florida, hasn't laughed much these past 100 days. She lives in the coastal community of Gulf Breeze and has long been a vocal opponent of Gulf drilling rigs. "There's a constant knot in the pit of my stomach," she said. "I'm afraid for the future. Are we going to come back? Are our waters going to be clean enough? Are we going to have the sea birds? Can we comfortably say to tourists, come on down and get in the water and eat the fish?" She's been busy this summer, teaching classes and giving talks to groups on the effects of oil and dispersants on public health. There is one thing she doesn't say in her speeches: I told you so. "This is something I never ever wanted to be able to say," she said. "It's vindication, but what a horrible way to be vindicated." A hundred days ago, Frank Besson was raking in money at the tourism empire he's built on Grand Isle, a spit of land along the coast where vacationers have flocked for decades. What started with his father's souvenir shop expanded to a daiquiri bar across the street and a restaurant next door. On a good day, he used to make $1,600. The shop's take last Saturday, when the island hosted a benefit concert? A measly $28.18, he says, pointing to the day's receipt. His little monopoly is in shambles these days. The restaurant, known for a homemade pecan glaze that's perfect for chicken fingers, is closed indefinitely. The daiquiri bar opens late each night to a trickle of customers. And most days you can find Besson inside his locked souvenir shop, watching a tiny TV. The only thing that's keeping the business afloat, he said ruefully, is that BP leased two of his rental homes and signed a catering contract with his shuttered restaurant. Besson, 61, is still optimistic that business will turn around and he'll be able to reopen his restaurant. But for now, he's found himself in an unusual position. He's actually hoping for a storm. "We want some rough weather so we can disperse and dissolve some of that stuff," he said. "I hate to say it, and I never thought I would say that, but that's what we want." A hundred days ago, Plaquemines Parish President Billy Nungesser was busy with blueprints of fire stations, schools and community centers damaged during Hurricane Katrina in 2005 and still in need of rebuilding. He was planning his wedding to his longtime fiance, which they postponed after the storm. "I had a life," Nungesser says. Now, his life looks like this: Endless meetings with the Coast Guard. Endless arguments with federal officials and BP workers. And countless media appearances — he's been on Anderson Cooper so often alongside fellow Cajun James Carville that the trio are like the holy trinity of nighttime cable TV. The new fire stations, schools and community centers have been put on hold. He's seen his mother twice in the past few months — and she lives right in the coastal Louisiana parish. And then there's the matter of the wedding. That's not happening anytime soon, not until life calms down and the fight is over. For now, he's got a war to wage. That's how he characterizes his region's fight against BP, the federal government, the oil. "A hundred days later, I can't look you in the eye and tell you who's in charge," he said. "I would not want to go to war with this team. Looking back, it's very sad that a lot of marshes and wildlife could have been saved if the federal government and BP had just listened to local people." A hundred days ago, the Rev. Mike Tran was busy ministering to his flock at the lone Catholic church on Grand Isle. When he was first assigned, he dragged his feet. It was too small, too isolated and there was too little to do. Boy was he wrong. He arrived in July 2005, weeks before Hurricane Katrina demolished much of the island. Parishioners at Our Lady of the Isle weathered that storm and the others that followed, but the spill has presented a new challenge. It threatens their way of life. Church attendance has been cut in half. Weekly donations are down $1,000. Yet more people than ever are walking up the stilted church's stairs to seek food and money. The morning after the rig explosion, Tran held a mass to honor the 11 victims. Most church members hadn't even heard the news. The last three months have been a whirlwind of prayer, charity and counseling. "People are constantly in fear," he said. "They like to work, not to rely on a business for help. They were able to go out on the Gulf whenever they wanted to feed their families. They were living a worry-free life, knowing that the Gulf would provide." Foster reported from Golden Meadow and Lush from New Orleans. Nigeria's Oil Co: Now Produces 2.2 Million Barrels Of Crude A Day. IBADAN, Nigeria -(Dow Jones)- Nigeria's state oil company said Tuesday that it is currently producing 2.2 million barrels of crude a day in all its operations. "Production of crude oil has rebound with the amnesty and post-amnesty policy of the federal government," Austen Oniwon, group managing director of the Nigerian National Petroleum Corp., or NNPC, said in a statement. He reiterated that the NNPC was solvent enough to meet all its business obligations to Nigerians and its numerous investors. Last week, a junior minister said the NNPC was insolvent, but this was promptly denied by the government. The NNPC is in a joint venture partnership with international oil companies operating in Nigeria including Royal Dutch Shell Plc (RDSA), Exxon Mobil Corp. (XOM) and Chevron Corp. (CVX). Armed militants in the oil-rich Niger Delta, where nearly all of Nigeria's crude oil is produced, attacked and destroyed oil and gas facilities between 2006 and 2009, cutting the country's output by around 1 million barrels a day, according to officials. An amnesty declared for the militants by late Nigerian President Umaru Yar'Adua stemmed unrest in the region, allowing oil companies to step up oil prospecting and production. Oniwon said efforts were under way to reposition NNPC. The Nigerian government plans to turn the corporation to an independent business concern that will operate like other oil companies in Europe, the U.S. and Asia. Nigeria relies on oil production for over 90% of its foreign exchange earnings and about 80% of government revenue. Are Oil Producers Nervous About Fall Demand? Global energy demand remains weak despite staging a hesitant recovery from recession levels. This year’s U.S. driving season -– when Americans leap in their SUVs for their annual vacations -– looks fairly feeble compared to pre-credit crunch years. Stocks of crude oil and products on both sides of the Atlantic are still stubbornly high, a problem exacerbated by growing supply from producers outside the Organization of Petroleum Exporting Countries control, such as Russia. Some producers have more than enough crude to sell, but appetite for their oil has waned a little. Values for West African oil cargoes traded on the spot market for example have softened in recent weeks pulled lower by deteriorating refinery margins and higher freight costs which have deterred buyers. Global cracking margins — the profit a refinery can expect to make from refining crude — are now at five-year lows, temporary strength in margins the market saw in spring has evaporated. One of Africa’s key oil producing nations, Angola, has dramatically reduced its crude export plan for September. The total volume of September cargoes will be 1.52 million barrels a day, nearly 17% lower than August’s 1.83 million barrels a day, a cut of just over 300,000 barrels a day. And while part of this can be attributed to outages at the large Girassol and Plutonio fields oil traders say this drop just doesn’t add up. Traders believe Angola may be holding back some of its supplies for September in anticipation of slack demand from its biggest customers this fall. They suggest it may point to worries over demand from key buyers, namely China. Angola’s primary customers, the U.S. and China, buy its crude because of its good quality and reliable production. Angola has been able to steadily ramp up its output while Nigeria has struggled to maintain its production from the restive Niger Delta. In the first half of 2009 Angolan crude was the third largest source of Chinese imports 29% of crude exports were sent to China and 31% to the U.S. according to the EIA. It may be a little hasty to be so pessimistic about demand in the second half of 2010, as the most recent data and indicators for U.S. and Chinese oil demand are still showing solid, if hesitant, growth, says Société Générale Commodities Research, Michael Wittner, global head of oil market research. 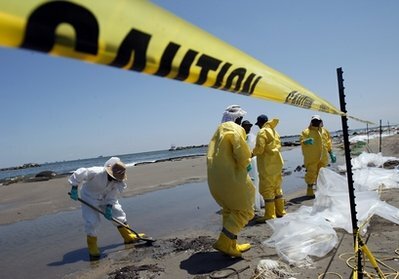 BEIJING – China's largest reported oil spill emptied beaches along the Yellow Sea as its size doubled Wednesday, while cleanup efforts included straw mats and frazzled workers with little more than rubber gloves. An official warned the spill posed a "severe threat" to sea life and water quality as China's latest environmental crisis spread off the shores of Dalian, once named China's most livable city. One cleanup worker has drowned, his body coated in crude. "I've been to a few bays today and discovered they were almost entirely covered with dark oil," said Zhong Yu with environmental group Greenpeace China, who spent the day on a boat inspecting the spill. "The oil is half-solid and half liquid and is as sticky as asphalt," she told The Associated Press by telephone. The oil had spread over 165 square miles (430 square kilometers) of water five days since a pipeline at the busy northeastern port exploded, hurting oil shipments from part of China's strategic oil reserves to the rest of the country. Shipments remained reduced Wednesday. State media has said no more oil is leaking into the sea, but the total amount of oil spilled is not yet clear. Greenpeace China released photos Wednesday of inky beaches and of straw mats about 2 square meters (21 square feet) in size scattered on the sea, meant to absorb the oil. Fishing in the waters around Dalian has been banned through the end of August, the state-run Xinhua News Agency reported. "The oil spill will pose a severe threat to marine animals, and water quality, and the sea birds," Huang Yong, deputy bureau chief for the city's Maritime Safety Administration, told Dragon TV. At least one person died during cleanup efforts. A 25-year-old firefighter, Zhang Liang, drowned Tuesday when a wave threw him from a vessel, Xinhua reported. Officials, oil company workers and volunteers were turning out by the hundreds to clean blackened beaches. "We don't have proper oil cleanup materials, so our workers are wearing rubber gloves and using chopsticks," an official with the Jinshitan Golden Beach Administration Committee told the Beijing Youth Daily newspaper, in apparent exasperation. "This kind of inefficiency means the oil will keep coming to shore. ... This stretch of oil is really difficult to clean up in the short term." But 40 oil-skimming boats and about 800 fishing boats were also deployed to clean up the spill, and Xinhua said more than 15 kilometers (9 miles) of oil barriers had been set up to keep the slick from spreading. 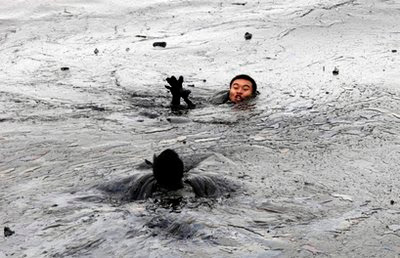 China Central Television earlier reported an estimate of 1,500 tons of oil has spilled. That would amount roughly to 400,000 gallons (1,500,000 liters) — as compared with 94 million to 184 million gallons in the BP oil spill off the U.S. coast. China's State Oceanic Administration released the latest size of the contaminated area in a statement Tuesday. The cause of the explosion that started the spill was still not clear. The pipeline is owned by China National Petroleum Corp., Asia's biggest oil and gas producer by volume. Friday's images of 100-foot-high (30-meter-high) flames at China's second largest port for crude oil imports drew the immediate attention of President Hu Jintao and other top leaders. Now the challenge is cleaning up the greasy plume. "Our priority is to collect the spilled oil within five days to reduce the possibility of contaminating international waters," Dalian's vice mayor, Dai Yulin, told Xinhua on Tuesday. But an official with the State Oceanic Administration has warned the spill will be difficult to clean up even in twice that amount of time. Some locals said the area's economy was already hurting. "Let's wait and see how well they deal with the oil until Sept. 1, if the oil can't be cleaned up by then, the seafood products will all be ruined," an unnamed fisherman told Dragon TV. "No one will buy them in the market because of the smell of the oil." Associated Press researcher Yu Bing in Beijing contributed to this report. BAGHDAD, July 19 (Reuters) - Kuwait has given initial approval to open a special border crossing with neighboring Iraq for international oil firms working there, an Iraqi oil official said on Monday. "There is kind of initial approval from Kuwait's side," Abdul-Mahdy al-Ameedi, director of the Oil Ministry's licensing office, told Reuters on the sidelines of a meeting between oil executives and the Oil Ministry in Baghdad. "This information we got from the contracting companies who said they talked with the Kuwaiti government, and that there is an initial approval to use the road that is close to Safwan and passes through Rumaila oilfield." Several oilfields straddle the border between the two countries, including the Rumaila and Safwan fields. The new border point would facilitate the inflow of equipment for oil companies that secured contracts to develop Iraq's oilfields, Ameedi said, adding that Iraq's Ministry of Foreign Affairs is also due to start official talks with Kuwait. Iraq awarded a series of massive oilfield development contracts last year to majors such as Royal Dutch Shell (RDSa.L: Quote) and BP (BP.L: Quote) that could quadruple its output capacity to 12 million barrels per day within seven years. As the projects get off the ground, inadequate dock space at Umm Qasr, the country's main port, bureaucratic impediments to securing visas, customs clearance, and corruption have become top complaints of oil executives. In June, the head of state-run South Oil Co. said the proposal to open the special border post was being studied by Iraq's oil, finance and interior ministries but also needed the approval of the Kuwaiti government. Relations with Kuwait remain frosty two decades after Saddam Hussein's invasion of Iraq's small neighbor. BAGHDAD (Dow Jones)--Exxon Mobil Corp. (XOM) is planning to raise production from Iraq's supergiant West Qurna oil field to 250,000-260,000 barrels a day during the first quarter of next year, the company's vice president said Monday. "Now the field produces a little more than 200,000 barrels a day," James B. Adams told Dow Jones Newswires in an interview. Exxon Mobil and its partner Royal Dutch Shell PLC (RDSA) will also announce later this year a number of tenders for drilling new wells and a 3D seismic survey, Adams said on the sidelines of an oil symposium held by the Iraqi oil ministry to tackle obstacles facing international companies in Iraq's oil expansion efforts. The tenders will be open to all firms including service companies such as Weatherford International and Halliburton among others, an Iraqi oil industry source said. Exxon Mobil and its partner had already received bids for a tender announced earlier this year to build a man camp in the field. "We are very close to announce results of that tender," Adams said. Exxon and Shell won the right to develop the 8.7-billion-barrel West Qurna Phase One in an auction held by Iraq last year for oil fields development contracts. The consortium pledged to increase production to 2.325 million barrels a day. The consortium will receive $1.90 for each extra produced barrel of oil from the field. The deal is one of a series to develop major and untapped oil fields that could catapult Iraq to third place among world oil producers and boost its capacity to Saudi Arabian levels of 12 million barrels a day, from around 2.5 million barrels a day currently. Petroleum Secretary S. Sundareshan, pictured here in February, says Indian state-owned firms are weighing their options in the wake of new sanctions on Iran. NEW DELHI -- India's petroleum secretary said the latest round of U.S. sanctions against Iran could complicate the activities of Indian state-controlled companies that are looking to invest in Iran's oil and gas sector. The official, S. Sundareshan, said in an interview that Indian public-sector firms, including Oil and Natural Gas Corp., are exploring opportunities in Iran, a huge potential market as India hunts for energy resources abroad. India also recently renewed talks with Iran over a proposed $7.4 billion pipeline that would deliver natural gas to Pakistan and India. 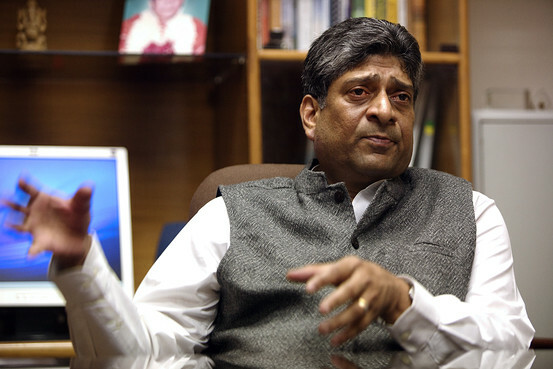 "These are Indian public-sector companies who are negotiating these," Mr. Sundareshan said. "We've asked them to obtain appropriate legal advice." The U.S. sanctions, signed by President Barack Obama earlier this month, are designed to penalize companies that invest in Iran's oil industry and export refined petroleum products to it. The moves are intended to ratchet up pressure on Iran to curb its nuclear program, which Tehran says is for peaceful energy purposes but Washington believes is aimed at producing highly enriched uranium for nuclear weapons. A few days after the U.S. sanctions became law, Indian Foreign Secretary Nirupama Rao said India was concerned that "certain unilateral sanctions recently imposed by individual countries" might "have a direct and adverse impact on Indian companies and more importantly, on our energy security." Mr. Sundareshan said India doesn't currently export gasoline to Iran – private oil and gas giant Reliance Industries Ltd. ended its shipments in May 2009 – so the sanctions won't have a big impact on oil refiners. But the restrictions on investments to develop Iran's oil sector might interfere with planned projects, so big state-owned oil firms are weighing their options, he said. "You would appreciate that there are immense opportunities in the oil and gas sector in Iran," Mr. Sundareshan said. "There are unexplored frontiers in gas, which provide immense opportunities for the country. We would certainly like to utilize these opportunities without sanctions." Under the U.S. sanctions, companies that invest more than $20 million in any project that "significantly contributes to the enhancement of Iran's ability to develop petroleum resources" would face penalties such as restrictions on credit from U.S. financial institutions. A U.S. embassy spokeswoman in New Delhi declined comment on the impact of the sanctions on India. India already imports $11 billion of crude oil annually from Iran -- about 14% of its total crude-import bill. The sanctions won't disrupt those purchases. But ONGC and other Indian companies are now exploring how to develop oil resources jointly with Iranian firms. Iran is the world's fifth-largest crude exporter. The U.S. sanctions came after a new round of U.N. sanctions against Iran last month that banned countries from selling Iran various military equipment or accepting Iranian investment in their nuclear industries. The U.N. sanctions blacklisted a shipping firm, Irano Hind Shipping Co., that Indian media reports said was involved in shipping crude oil from Iran to India. Mr. Sundareshan, however, said he isn't aware of any major Indian oil refiners who are importing crude via that shipping company. The project to build a 2,600 kilometer pipeline, which has been in the works since the mid 1990s, has been stuck amid disagreements over how Iran's gas would be priced. The three countries haven't discussed it together since July 2007. India has agreed to re-engage Iran on it, though not Pakistan yet. "It's necessary for a bilateral discussion with Iran before any progress can be made," Mr. Sundareshan said. He said it isn't yet clear whether the new sanctions will impinge on the pipeline project. The petroleum secretary also said the Indian government will save about $5 billion this year through its recent withdrawal of fuel subsidies for state-owned firms, which came in tandem with a deregulation of fuel prices. The resulting increase in gasoline prices of 3.50 rupees per liter sparked a nationwide protest by opposition parties. Mr. Sundareshan said the government has an "emergency clause" in the new fuel policy that will allow it to intervene and lower prices again if international crude prices spike. "If the price of oil goes up to abnormally high levels as it did in 2008, it isn't that the government is going to be a silent spectator," he said. But he added, "Having said this, the intention is that for the present there is absolutely deregulation of petrol prices." Since June 25, state-run oil companies have been given the right to set their own prices. For the time being, they'll set uniform prices once per month, but over time they'll likely begin pricing their products differently, Mr. Sundareshan said. He said the government likely won't consider full deregulation of diesel for a "few weeks or even a few months," because of the sensitive nature of the issue. "It's an extremely difficult move for the government. Diesel is seen as a fuel of the common people," he said. —Krishna Pokharel contributed to this article. ASSALOUYEH, Iran — Global energy majors are welcome to help develop oil and gas projects in Iran despite new sanctions imposed on the Islamic republic, a top official told reporters on Monday. "We welcome all international companies, eastern or western. The oil industry cannot be deprived of cooperation," said Mohammad Hossein Mousavizadeh, adviser to Pars Oil and Gas Co, which is developing the giant South Pars fields in Gulf waters. Several top global energy majors have either quit Iran or are considering an exit since world powers in June slapped new UN sanctions on Tehran over its controversial nuclear programme. Mousavizadeh said the development of South Pars, which holds about eight percent of world gas reserves, was not affected as Iranian companies were replacing global firms or foreign firms were staying on as associates. "The development of South Pars is a closed chapter. The contracts have been closed with big consortiums," he told reporters after they were given a tour of phases 14, 15, 16, and 18. "These (Iranian) consortiums have foreign associates ... In the past, foreign companies came as leaders of consortiums such as (France's) Total which was in charge of construction, technology and finance," he said. "But that model is over now," Mousavizadeh said, indicating that Iranian companies were now leading the projects and sanctions were not affecting the development of South Pars. "The sanctions are mainly for their companies not ours. We are not worried about sanctions in terms of technology. If we face any problem, we have to plan for it." Mousavizadeh also gave an explanation of why Khatam al-Anbiya, the industrial wing of Iran's elite Revolutionary Guards, had pulled out of two development phases -- 15 and 16 -- of South Pars. "They (Khatam al-Anbiya) preferred to pull out because of their construction activities elsewhere," he said. "Any consortium that cannot observe the timetable of the project for any reason should step aside and be replaced. And they have been replaced by domestic companies." On Friday, Khatam al-Anbiya said it was pulling out of the two phases as it had been slapped with sanctions and continuing to work in the fields would have "endangered the nation's resources." Khatam al-Anbiya won the contract in late June 2006 to develop the two phases in a deal worth 2.09 billion dollars. The industrial conglomerate is one of 15 Iranian companies linked to the Guards which have been targeted in the latest round of UN sanctions. The firm was created during the 1980-1988 Iran-Iraq war to help rebuild the country. It has since diversified into mechanical engineering, energy, mining and defence, especially under the presidency of Mahmoud Ahmadinejad. Iran, OPEC's second largest oil exporter, also has the world's second-largest reserves of natural gas after Russia. The South Pars field, which Iran shares with the small state of Qatar, is comprised of 28 phases and holds around 14 trillion cubic metres (500 trillion cubic feet) of gas. But its development has been delayed amid a lack of investment in a country faced with severe gas needs of its own and because of difficulties in procuring the required technology. The town of Assalouyeh in the southern Iranian province of Bushehr has been chosen as the base for developing the offshore field. Iran, under a 5-year development plan, aims to increase oil production by 1 million barrels per day, an Iranian lawmaker said. Hassan Vanaei, a lawmaker supervising Iran's latest 5-year development plan, said the Oil Ministry under the plan should increase oil production by 1 million barrels per day to 5.1 million bpd, the Iranian Oil Ministry's Petroenergy Information Network reports. The lawmaker said his country typically experiences an annual decline in production of around 300,000 bpd and the 1 million bpd increase didn't account for the annual loss. Iran sits on some of the largest oil and gas deposits in the world, though declining infrastructure prevents the country from exploiting its full resources. The report from the Oil Ministry added that Iran exported more than $2 billion in petrochemical products during the first quarter. Washington in early July passed sanctions on Iran that blacklists foreign entities doing business in the Iranian energy sector. Moscow and New Delhi, however, expressed recent frustration with the unilateral move by the United States. TEHRAN — Oil Minister Massoud Mirkazemi warned on Saturday that Iran will blacklist foreign firms like Russian energy giant Lukoil that pull out of projects because of sanctions against Tehran. "If one of the companies acts against Iran, we will be forced to consider the reality and put that company on a blacklist," the Mehr news agency quoted Mirkazemi as saying. "They will no longer work in our country," he said. Mirkazemi singled out the case of Lukoil, which announced it was pulling out in March as new UN, US and EU sanctions over Tehran's controversial nuclear programme loomed. The minister said the Russian firm had reneged on its commitments in the Anaran oilfield which it discovered in western Iran in 2005. But he added that Iran might consider continuing to work with Lukoil "if we can adjust the content of the agreement." Iran is under four sets of UN sanctions over its refusal to heed repeated Security Council ultimatums to suspend uranium enrichment, the most controversial part of its nuclear programme. Both the United States and the European Union have also imposed additional sanctions unilaterally. SULAIMANIYAH, Iraq — The smuggling of tens of thousands of gallons a day of crude oil and refined fuels from northern Iraq to Iran, in violation of new U.S. sanctions, is stoking tensions between Iraq's central government and its Kurdish provincial counterparts. The reports about the oil smuggling surfaced just over a week after the U.S. imposed new sanctions barring the export of refined fuels to Iran. They also arise at a time when Kurdish help may be needed to form the next government as politicians in Baghdad have been deadlocked since the March 7 election. Iraqi officials quickly vowed to do something about the practice. The smuggling is an embarrassment for Baghdad and the Kurds — both U.S. allies — not only because of the sanctions but also because of Iraqis' perception that politicians are profiting on the trade while the public suffers from fuel shortages. Iraqi Oil Minister Hussain al-Shahristani said Tuesday the cabinet had decided to summon representatives of the Kurdish regional government to discuss the smuggling issue and "to put an end to it, as it harms Iraq's national and economic interests." "This matter is unacceptable and strange," al-Shahristani told reporters after the cabinet meeting. It is "illogical to export refined products to neighboring countries while Iraq imports refined products such as gasoline." Days earlier, government spokesman Ali al-Dabbagh said an urgent meeting would be held with Kurdish officials. The Kurds, however, appeared resistant. One Kurdish government official told The Associated Press he doubted any meeting would take place, noting "the government's mandate is over." He spoke on condition of anonymity because he was not authorized to discuss the issue. Kurdish officials acknowledged that some refined fuel from their region was being exported legally, but denied that any crude was being smuggled into Iran. Kurdish Natural Resources Minister Ashti Hawrami insisted the source of the smuggling problem was not the Kurds. According to the Kurdish news agency, Hawrami said oil from two major refineries in central Iraq is being shipped to Iran and "the Iraqi government's raising of this issue now has a political objective of covering up the unofficial sale of crude oil from southern Iraq." In a statement this week, the Kurdish regional government blamed Baghdad's policy of selling heavily discounted fuel to private distributors for the Iraqi public, which it said creates "incentives" for the buyers to smuggle it abroad. It acknowledged some of that smuggling may go through Kurdistan and said it is "committed to working with the federal government to eliminate permanently all such profiteering of fuel oil." An Associated Press reporter who visited the area several weeks ago saw hundreds of fuel tankers lined up at an official crossing on a narrow mountain road at Haj Omran, a Kurdish resort town on the border with Iran. One driver, Nouri Ahmed, said he was to transport his shipment down to the Iranian port of Bandar Imam, where it is unloaded and moved to a tanker in the Gulf. "I don't know where it goes" from there, Ahmed said. The oil smuggling is far from new. For several years after the 2003 U.S.-led invasion, it was one of the preferred ways for insurgents to fund their operations. As security improved, private individuals and political groups picked up on the lucrative practice. Analysts say that smuggling of oil has been going on in the Kurdish north since the early 1990s. But the issue is in the limelight now after President Barack Obama this month signed the new sanctions, which punish entities involved in exporting refined fuel products to Iran. Iran is a major exporter of crude oil, but it sorely lacks refineries, making it heavily reliant on imports of gasoline and other refined fuels. The U.S. move aims to put extra pressure on Iran over its nuclear program after four rounds of U.N. financial sanctions. "If Iran had not been placed under international sanctions, the smuggling would have continued without a single comment," Bassem al-Sheik, the editor-in-chief of Ad-Dustour newspaper wrote Monday. He said the Kurdistan government's silence on smuggling for so long was likely because the Kurdish political groups were benefiting from the proceeds. U.S. officials in Iraq said smuggling had long been an issue, even before the new sanctions were approved. But as major oil companies grow increasingly reluctant to sell refined products to Iran, new players had been stepping up. "We're concerned about this, and we're reviewing these developments," said Nolan Barkhouse, a U.S. embassy spokesman in Baghdad. Oil has long been a source of tensions between the central government in Baghdad and the government in the autonomous Kurdish region in the north. The two sides have been at odds over just how much control the Kurds — who sit on more than a third of Iraq's 115 billion barrels in proven crude reserves — should have over the oil in their territory. Several years ago, Baghdad deemed illegal the unilateral oil deals signed by the Kurds with foreign companies following Saddam Hussein's ouster. While the Baghdad government struck a deal in June 2009 with the Kurds to allow exports to resume through the pipeline that runs from Kirkuk to Ceyhan, Turkey, the agreement was short-lived, with exports halted three months later over a dispute over payments to foreign companies operating there. Exports through the line have yet to resume with any consistency, raising the question of what becomes of production from the Taq Taq and Tawke fields that feed it. Taq Taq is operated by China's state-owned Sinopec Group and Turkey's Genel Enerji, and Tawke by the independent Norwegian oil company DNO. Tawke's production in May — the latest available — stood at about 4,800 barrels per day, far shy of the field's 50,000 barrel per day capacity. Of that production, 80 barrels per day go to power the company's operations at Tawke, according to company figures. The rest is split between DNO's local refinery and the small refineries in the region, said DNO spokesman Tom Bratlie. While DNO doesn't keep track of what happens to the oil once it's sold, "all deliveries are subject to approval by the local government," Bratlie said. He said oil refined by DNO is distributed by the local government. The smuggling seems less a matter of helping Iran than of turning a profit. "It's physically impossible for the oil being smuggled to be more than a drop in the bucket for Iranian needs," Samuel Ciszuk, Mideast energy analyst with IHS Global Insight said. El-Tablawy is based in Baghdad and Barzanji in Sulaimaniyah; AP writer Sinan Salaheddin contributed to this report from Baghdad and Ian MacDougall from Oslo, Norway. IBADAN, Nigeria (Dow Jones)-Shell Petroleum Development Company-operated Joint Venture has awarded marine contracts to two Nigerian firms, a company spokesman said Monday. Tony Okonedo, SPDC's corporate relations manager said in a statement that C&I Leasing PLC (CILEASING.LA) and Maiden Systems Ltd., will provide marine tanker handling and pilotage services to crude export vessels at Bonny and Forcados terminals in the Niger Delta. He didn't give the cost of the contracts but said a key aspect of them was the building of 11 marine tug boats which will secure tankers as they load crude oil at the two terminals. Okonedo added that both companies will also maintain associated crude loading facilities and undertake offshore terminal emergency response and surveillance. 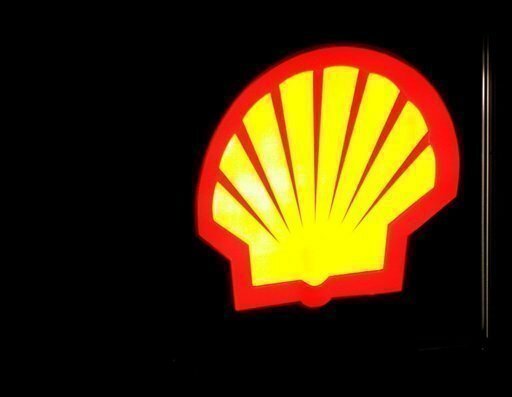 SPDC is a subsidiary of Royal Dutch Shell PLC. Okonedo said Shell-run companies in Nigeria, last year awarded contracts worth nearly $892 million to Nigerian firms, representing 85% of the total amount spent on contracts within the period. He said the contracts were awarded recently in Port Harcourt, capital of southeast Rivers state, and added that they were part of Shell's efforts to encourage the participation of indigenous firms in the country's oil and gas industry. "The focus of Shell companies is on supporting Nigerians and Nigerian firms to improve their capacity in a range of oil and gas industry activities including, design, engineering, exploration and drilling," Okonedo said. Nigeria recently announced its Local Content Act, which gives first consideration to Nigerian indigenous companies in the oil and gas sector, creating training and employment opportunities for Nigerians and ensuring that most of the spending in the industry is kept in the country. JAKARTA, July 15 (Reuters) - Kuwait Petroleum Corp will invest $8-9 billion in a new 300,000 barrels per day (bpd) oil refinery on Indonesia's Java island, Indonesian Industry Minister MS Hidayat said on Thursday. The move would help cut fuel shipments into Asia's biggest gasoline and diesel importer, where delapidated refineries do not meet demand in Southeast Asia's biggest economy and where no new refinery has been built since 1995. However no timeframe was given for the Kuwaiti project, and previous plans to build new refineries have failed. Hidayat said Kuwait Petroleum Corp and Indonesia's state energy firm Pertamina will sign an MOU at the end of this month for a refinery in Balongan in western Java. "A joint venture will be formed within six months," he said. "The crude oil will be supplied from KPC at a discount price." boost capacity at its refineries in Balikpapan, Dumai and Balongan. Pertamina has asked the government for tax incentives for new refinery projects to attract investors. Indonesia's investment chief Gita Wirjawan said the government will consider giving a tax holiday to refinery investors. "I have talked with the finance minister and he responded positively about giving tax incentives for new refinery projects," Wirjawan told reporters on Thursday. Exports of Angolan crude oil from the Girassol field operated by Total SA may be canceled or delayed because of production difficulties, according to a trader with knowledge of the matter. The Paris-based company declared force majeure, meaning scheduled deliveries may not be made because of circumstances beyond the seller’s control, according to the trader. Total officials in Paris didn’t immediately return calls seeking comment today, which is a public holiday in France. Exports from the Girassol field were originally planned to average 193,548 barrels a day in August, according to loading schedules. The trader declined to be identified because the information isn’t public. Angola is set for a major expansion of oil and gas projects in the short to medium term. Production may peak in the range of 2.5-3.0 million bbl/day by 2015. Current production is about 2 million bbl/day. 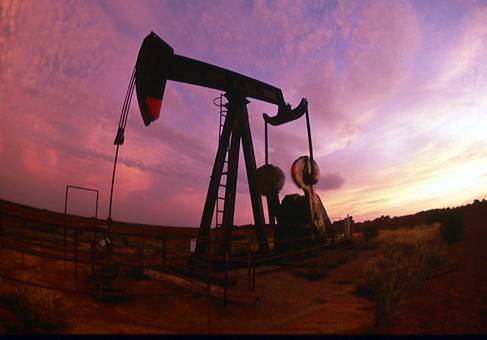 Angola has been a member of OPEC since 2007 and is subject to quota restrictions. Quota could easily rise if the demand for crude oil exceeded supply. Eight large production developments currently in progress on blocks 14, 15,17, 18, 31 and 32 could together add 1.2 million bbl/day by 2012. John Wagoner, Technology Editor at Offshore Magazine reported on these production projects recently. To be sure, the international oil majors are not going to wait for a resolution of the Gulf of Mexico moratorium uncertainties to continue adding new production to existing supplies. However, for the U.S. as a nation, it is a step back from the desire to become energy independent. Hopes were high that continued and steady development of the deep oil reservoirs of the Lower Tertiary in the Gulf of Mexico (GOM) would at least arrest the current decline. No one seriously thinks that the GOM has the potential to increase overall production rates. The life of an average oil field in the GOM is in the 12-15 year range and many are depleted in fewer than 10 years. 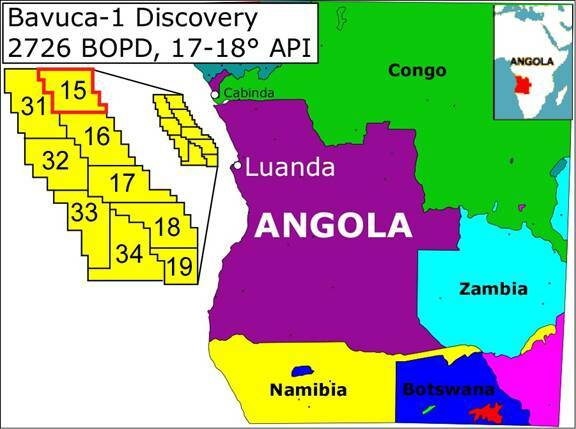 In Angola, oil companies are steadily exploring all of the blocks where good prospects exist. So far, the discovery record has been excellent. Oil quality is good and both capital and operating costs offshore Angola are less than in the GOM. 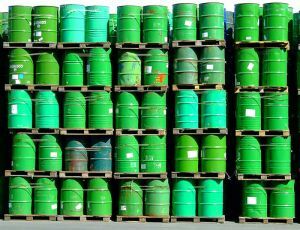 Whether or not sufficient production can be obtained there to keep the pressure off of crude oil prices during the next few years is an unanswerable question. Still, knowing that good prospects exist will provide opportunities for the majors. With demand rising in Asia, that is where much of the Angolan crude will go. Total (Paris:FP) (LSE:TTA) (NYSE:TOT) announces that its subsidiary, TEPA (Block 15/06), Limited, and its partners have made a new oil discovery in Block 15/06 with the well Cabaça SE-1, in the Angolan deep-offshore. The well, located in 470 metres of water depth and 100 kilometres from the Angolan shore line, encountered significant gross thickness oil bearing reservoirs in the Miocene series. Volumes estimates suggest that Cabaça SE could hold substantial volumes of oil in place, with a potential yet to be confirmed. An appraisal well is planned to be drilled in the third quarter 2010 with the objective of delineating and testing this oil accumulation. Cabaça SE-1 is the seventh exploration well drilled in Block 15/06 since the block award at the end of 2006. The eighth well of the exploration drilling campaign (Mpungi-1) is currently being drilled, and it will complete the work commitment of the first exploration period one and a half year in advance of the contractual period. The exploration effort of the Block 15/06 partnership has reached a remarkable rate of success with six commercial discoveries out of the seven prospects drilled to date. TEPA (Block 15/06), Limited, holds a 15% interest in the Block 15/06, operated by Eni. Total is present in Angola since 1953. In Angola, Total operated 491,000 barrels oil equivalent per day (boe/d) in 2009, and its SEC* equity production amounted approximately 191,000 boe/d. This production comes essentially from Blocks 17, 0 and 14. Deep offshore Block 17, operated by Total with a 40% interest, is Total’s principal asset in Angola. It is composed of four major zones: Girassol-Rosa and Dalia, which are currently producing; Pazflor, a project under development for a production start in 2011; and CLOV (based on the Cravo, Lirio, Orquidea and Violeta discoveries), a project for which the final investment decision should be taken soon. Total is also the operator with a 30% stake in the ultra deep offshore Block 32, on which 12 discoveries were made, confirming the oil potential of the block. Pre-development studies for a first production zone in the central south eastern portion of the block are underway. In addition, the Angola LNG project for the construction of a liquefaction plant near Soyo is designed to bring the country’s natural gas reserves to market. This project, on which Total holds a 13.6% stake, will be supplied, in a first step, by the associated gas from the fields on Blocks 0, 14, 15, 17 and 18. The plant is under construction with production expected to begin in 2012. In Angola, as in all countries where Total operates, the Group is committed to developing the local oil industry while recruiting and providing professional training to local workers. Through its ambitious “Angolanisation” and technology transfer plans, Total has strengthened the local economy and made of Hygiene, Safety and Environment awareness a top priority. Total E&P Angola has developed a transparent and solid corporate social responsibility policy around three main axes: health, education (opening of four high schools in the provinces in 2009) and economic community development. GE will supply gas turbine and compressor equipment to PNBV--Petrobras Netherlands BV, subsidiary of Petrobras the integrated oil and gas company, for deployment in two floating production, storage and offloading (FPSO P-58 and P-62) units for exploration and production offshore Brazil. The $160 million double FPSO unit contract awarded to GE is a significant assignment of orders for both power generation and compression packages to a single provider of equipment and services. Joe Mastrangelo, vice president--turbomachinery for GE Oil & Gas said: "We're delighted to strengthen our already solid partnership with Petrobras with this double award for power generation and compression packages. As part of our optimum value solution, we are able to design reliable technology with reduced weights and dimensions to improve the performance and efficiency of both Petrobras floating production units." The technology will be deployed in two Petrobras FPSO vessels in the north of the Parque das Baleias Field in Espirito Santo and the Roncador Field in the Campos Basin that, combined, will support production of 360,000 barrels of oil per day scheduled to come online in 2013. Under the award, GE Oil & Gas will supply eight 31.1 MW PGT25+ gas turbine generator sets and 12 motocompressor trains (either LP or HP) for the two vessels of up to 200 bar discharge pressure for natural gas export/gas lift. In addition, GE Oil & Gas also will contribute relevant local content participation by supplying both the electric generator and the electric motors for the P58 and P62 projects from the Brazilian market. Finally, GE Oil & Gas will provide technical advice for onsite installation and startup and training to support both plants. The equipment will be manufactured in Florence, Italy, with full load string and performance tests conducted at GE's production site. GE Oil & Gas is well established as a global supplier of equipment for offshore production units. Over the past 10 years, the company has provided gas turbines, compressors and additional equipment for fixed and floating production storage and offloading projects in countries worldwide including Angola, Brazil, Canada, China, Nigeria, Norway, South Africa and the United Kingdom. With this contract, GE Oil & Gas continues to expand its presence across Latin America's oil and gas sector, with more than 1,000 gas turbines and compressors installed throughout the region. In addition, the company has inspected more than 50,000 kilometers of oil, gas, water and refined product pipelines in Latin America. Based in Rio de Janeiro, Petrobras is one of the largest companies in Latin America and controls significant oil and energy assets in 18 countries worldwide. Petrobras is an integrated company that operates in oil and oil byproduct exploration, production, refining, marketing and transportation. GE Oil & Gas (www.ge.com/oilandgas) is a world leader in advanced technology equipment and services for all segments of the oil and gas industry, from drilling and production, LNG, pipelines and storage to industrial power generation, refining and petrochemicals. We also provide pipeline integrity solutions, including inspection and data management. As part of our 'Innovation Now' customer focus and commitment, GE Oil & Gas leverages technological innovation from other GE businesses, such as aviation and healthcare, to continuously improve oil and gas industry performance and productivity. GE Oil & Gas employs more than 12,000 people worldwide and operates in over 100 countries. GE /quotes/comstock/13*!ge/quotes/nls/ge (GE 14.97, -0.23, -1.49%) is a diversified infrastructure, finance and media company taking on the world's toughest challenges. From aircraft engines and power generation to financial services, health care solutions, and television programming, GE operates in more than 100 countries and employs about 300,000 people worldwide. For more information, visit the company's Web site at www.ge.com. Jordan’s energy minister said the country plans a nearly fourfold increase in natural gas imports from Egypt and will explore purchases from Qatar and Algeria. Jordan, which imports almost all its energy, is scheduled to sign an agreement in two weeks that will raise gas supplies for power plants to 330 million cubic meters from 240 million cubic meters starting early 2011, Jordanian Energy Minister Khalid Irani said today in an interview. The countries also agreed to build a pipeline network to bring 500 million cubic meters of Egyptian gas to feed houses and industries in Jordan, Irani said. Jordan started importing gas from Egypt in 2003, receiving about 300 million cubic feet a day through a link across the Gulf of Aqaba that also feeds Syria and Lebanon. Egypt’s gas exports dropped by about 30 percent because of technical faults in that country’s installations, Ghaleb Maabreh, the general manager of Jordan’s National Electric Power Co., said June 23. Jordan’s electricity company reported a loss of 40 million dinars ($56 million) after the Egyptian shortfall forced the company to use heavy fuel oil, which is more expensive than natural gas, he said. Jordan, whose power use may double in 10 years, is also considering importing gas from Qatar and Algeria, Irani said. The Nigerian government has strongly denied claims that the state oil company is bankrupt, shortly after a junior minister said it was insolvent. On Tuesday, Junior Finance Minister Remi Babalola said the Nigerian National Petroleum Corporation was unable to pay debts of $5bn (£3.3bn). However, two senior cabinet ministers flatly contradicted him. Nigeria is a major producer and exporter of crude oil but depends almost entirely on imported fuel. Finance Minister Segun Aganga told journalists the NNPC was a going concern and an important arm of government. Information Minister Dora Akunyili also rejected the comments. The NNPC has also denied the claim but said it was struggling because of the government's failure to pay billions of dollars of subsidies. The BBC's Caroline Duffield in Lagos says it is not clear why the money has not been paid, but there are now talks between the government and the NNPC to try to resolve the problem. LAGOS, Nigeria — French oil firm Total SA says it has signed a deal to acquire Chevron Corp.'s stake in an offshore oil block near Nigeria's coastline. Total announced the deal Thursday for exploration rights in the Joint Development Zone between Nigeria and Sao Tome and Principe. 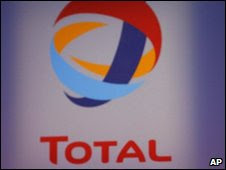 Total says the deal covers an area of roughly 430 miles (nearly 700 kilometers) in the Gulf of Guinea where an oil well was discovered in 2006. Total says its African fields produce about 750,000 barrels a day — roughly a third of its oil production. Indian Oil Corp., the country's second-biggest refiner, plans to acquire oilfields in Africa as part of a $1 billion overseas investment plan, its chairman said. "Africa is top of our list to buy assets because it is near India and has good quality crude," Brij Mohan Bansal said in an interview at his office in New Delhi today. "We are planning retail outlets in Indonesia." State-run Indian Oil's renewed plans to expand overseas came after the government freed gasoline prices from its control last month and said it will eventually allow refiners to set diesel rates, helping to increase cash flow. The refiner has set aside $1 billion for acquisitions overseas, Bansal reiterated. "Africa offers many grades of crude and gives refiners security of supplies to have fields there," said Vinay Nair, a Mumbai-based analyst with Khandwala Securities Ltd. "They will however still need financial support from the government to help make profits." The refiner delayed crude-processing and pipeline projects overseas, including Nigeria and Turkey, because of reduced cash flow after selling fuels below cost, Bansal said in July last year. Indian Oil and Turkish builder Calik Holding had planned to spend $4.9 billion to build a 300,000 barrel-a-day refinery in Ceyhan on the Mediterranean coast. The companies, with Eni SpA, Europe's fourth-largest oil company, had also planned to spend $2 billion on a pipeline from Samsun on Turkey's Black Sea coast to Ceyhan to transport as much as 1.5 million metric tons of Central Asian crude oil a day. The shares have increased 23 percent in Mumbai trading this year compared with the 3 percent gain in the benchmark Sensitive Index of the Bombay Stock Exchange. The stock declined 3.8 percent to 374.45 rupees today. Indian Oil, which owns stakes in ventures in Africa and the Middle East, had plans to invest in refinery and pipeline projects in Nigeria, former company spokesman M. Kali Krishna said in October 2006. The Economic Times reported then that the company may invest $3.5 billion to build a 300,000 barrel-a-day crude processing plant in the African nation. The refiner holds shares in exploration ventures in Iran, Yemen, Gabon, Nigeria and Venezuela. The projects are yet to produce oil. India's crude imports increased 20 percent to 153.2 million tons in the year ended March from a year earlier, according to the oil ministry's data. The nation's energy use may more than double by 2030 to the equivalent of 833 million tons of oil from 2007, the International Energy Agency said. "Deregulating fuel prices helps us increase cash flows and profitability," Bansal, 59, said. The refiner currently has debt of 470 billion rupees, he added. Indian Oil plans to revive a 200 billion-rupee ($4.3 billion) chemical project in the eastern state of Orissa and build nuclear, wind and solar power plants as cash flow increases, Bansal said. "We will bring the petrochemical project out of the cupboard again since there is more clarity about our finances now," he said. "We want to become an integrated energy player and will spend on renewables." The refiner plans to build a 1,400-megawatt nuclear power plant in the northwestern state of Rajasthan at a cost of 120 billion rupees in partnership with Nuclear Power Corp. of India. Indian Oil would own 26 percent in the venture and the plant may start producing electricity in 2015, said Bansal, who plans to seek the approval of his company's board in two months. State-owned Chinese oil producer Sinopec said Monday its Addax subsidiary has struck oil offshore Nigeria after the unit was acquired last year to expand the company's African presence. The UDELE-3 well of Block 137 in the Niger Delta showed a heavy oil flow of 3,365 barrels and 28,300 cubic meters of gas per day in a test, said a statement by the company, also known as China Petroleum & Chemical Corp.
"It showed the a huge oil exploration potential of the block in the future, and also greatly increased its value," the company said. The well was Sinopec's first exploration in Nigeria this year. Sinopec acquired Addax, a Geneva-based oil and gas explorer, last year for $7.2 billion to add reserves and production capacity in West Africa and the Middle East. It was the biggest foreign acquisition by a Chinese company to date. 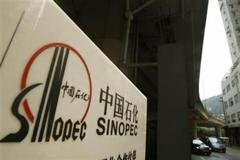 Sinopec shares closed up 0.7 percent to 8.15 yuan on Monday in Shanghai. Nigeria, Africa’s biggest crude producer, asked oil companies operating in the West African country to provide more accurate production data. Companies will be required to submit data from wellheads, flow stations and export terminals, Assisi Asobie, chairman of Nigeria Extractive Industries Transparency Initiative, or NEITI, said in an interview today in Lagos, Nigeria’s commercial hub. Producers currently report only the volume exported, he said. Receipts from crude exports account for about 90 percent of Nigeria’s foreign-exchange earnings. Attacks by armed groups in the Niger River delta, home to the country’s oil and gas industry, cut output by more than 28 percent between 2006 and 2009, according to Bloomberg data. Nigeria is the fifth-biggest source of U.S. oil imports. To improve the accuracy of reporting, Nigeria will install more meters on oil pipelines, Asobie said. “When we do that, the production figures we get will be more accurate,” he said. NEITI has also asked agencies involved in monitoring oil companies reports to modernize their recording systems and harmonize their figures, “especially how they record what they receive from the oil companies,” Asobie said. The agencies include the Federal Inland Revenue Service, the Department of Petroleum Resources, the Nigerian National Petroleum Corp. and the Central Bank of Nigeria. “If you go to ask them separately, their figures don’t always tally, and together, their figures do not agree with figures from the oil companies,” Asobie said. --Editors: Paul Richardson, Karl Maier. To contact the reporter on this story: Vincent Nwanma in Lagos at vnwanma@bloomberg.net. To contact the editor responsible for this story: Antony Sguazzin in Johannesburg at asguazzin@bloomberg.net. On the Beach: Gulf Shores, Ala.